4-H members and volunteers at the annual 4-H Day at the Virginia State Capitol in Richmond. More than 1,000 4-H members and volunteers visited Richmond in February to meet their state representatives and learn about Virginia’s legislative branch of government. 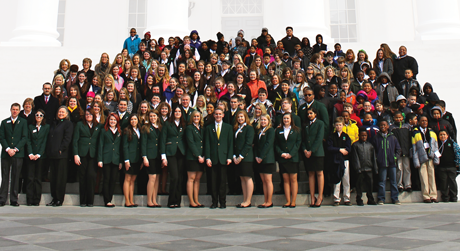 Virginia 4-H has celebrated 4-H Day at the State Capitol for 21 years. Virginia 4-H sponsors the annual trip for 4-H’ers across the commonwealth to express their gratitude to state delegates and senators who support 4-H youth development programs. “This trip is an opportunity for lawmakers to put faces to the programming that the funding provides for young people all over the commonwealth.” said Cathy Sutphin, associate director of 4-H Youth Development with Virginia Cooperative Extension. 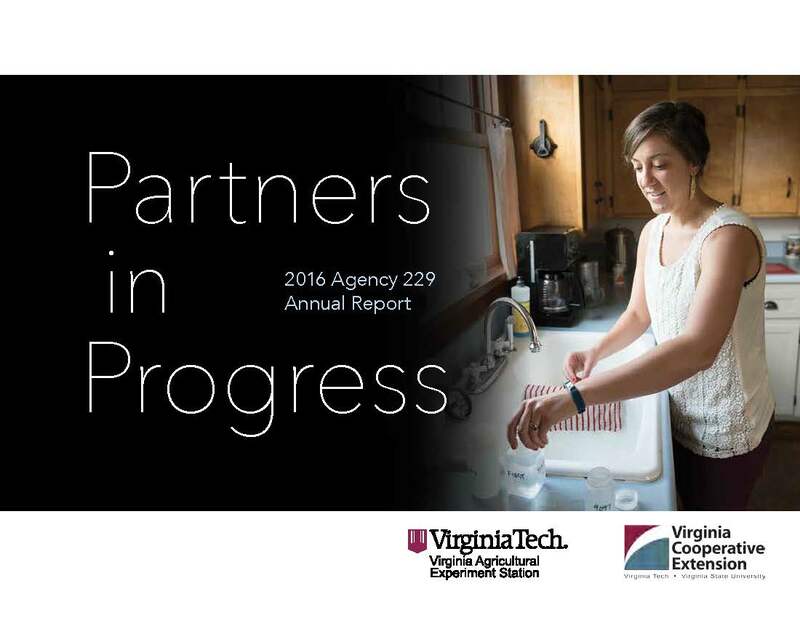 Over 214,000 youth are enrolled in Virginia 4-H’s hands-on educational programs. 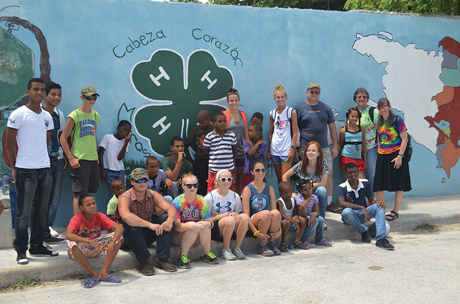 Throughout the commonwealth, more than 12,700 adults and teens volunteer their time and energy to mentor and teach 4-H members about science and technology, career and economic education, citizenship, communication and expressive arts, family sciences, leadership, and other topics. 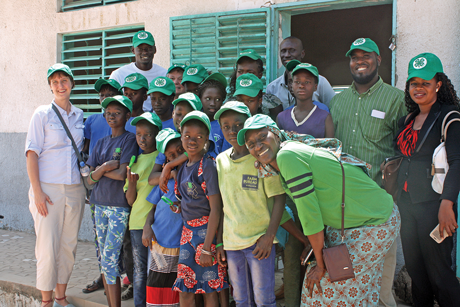 In addition, there are six 4-H educational centers that conduct residential camping programs for more than 10,700 young people annually. Virginia 4-H engages children and teens ages 5 to 19 in hands-on educational programs and activities designed to help them gain knowledge, life skills, and attitudes that will further their development as self-directed, contributing, and productive members of society.